We are in the process of expanding a game called Boccia, which is primarily for wheelchair users and severely disabled people but is inclusive as a whole. 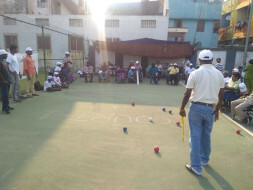 We have conducted over 100 camps across Tamil Nadu Pondicherry and Bangalore We have conducted a few district and 3 State-level tournaments. 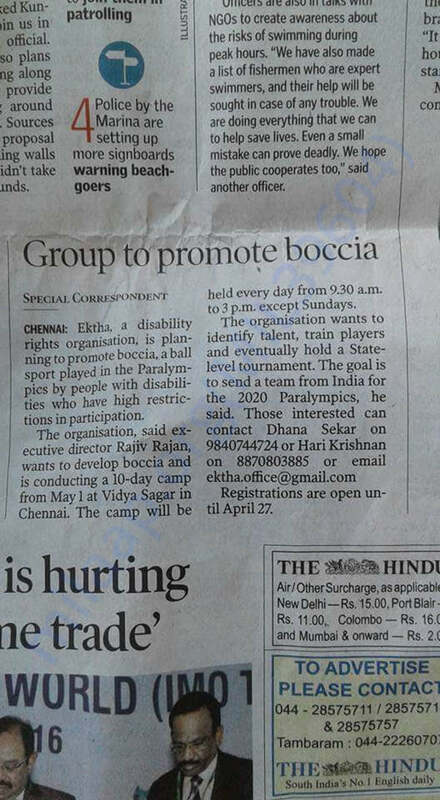 Now we are planning to spread Boccia's wings across the country. 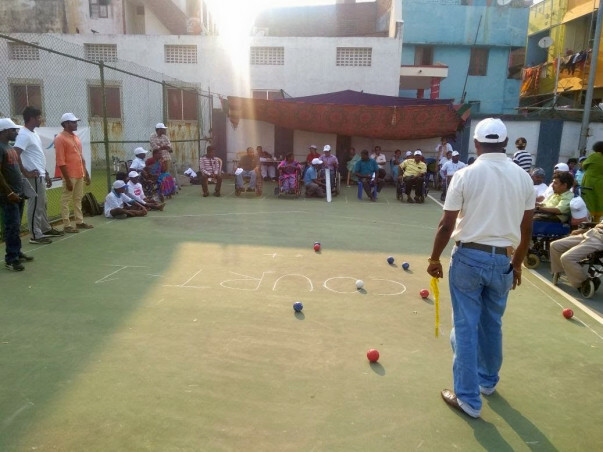 Ektha would be conducting a national level tournament in September 2018 at Adventure Zone, Madhurandhagam, Chennai. We are postponing the event due to logistical reasons. We are looking for some support in terms funding for food and local travel for our participants. This will cost us 7 lakhs INR. you can support us contributing the whole or part of the amount or by connecting who will be interested in support this event. Looking forward to your valuable support. Thank you for the support! Here is an update on the status of the event taking place. We have to postpone the event due to logistical reasons to the second weekend of September 2018. Further updates will be posted regarding this.